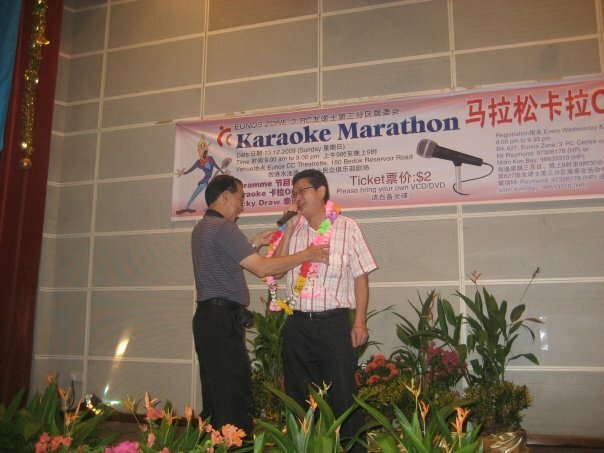 The recent Karaoke Marathon organised by Eunos Zone ‘3’ Residents’ Committee received overwhelming response. 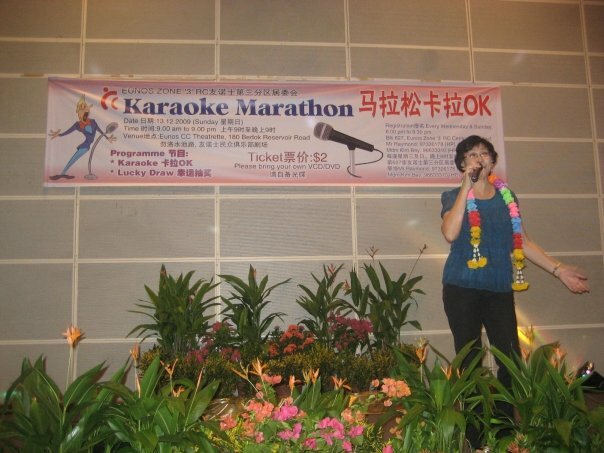 Held at the Eunos Community Club theatrette, most of the singing slots were fully booked prior to 13/12/09 when the event was held. The marathon went from 9am-9pm. It concluded with a lucky draw by our Guest-of-Honour, Mr Lin Tze Kin PBM, Chairman, Eunos Community Club Management Committee. This marathon session wouldn’t be a success if not for the hardworking organising committee led by Mdm Sim Lai Ngin, Vice-Chairperson for Eunos Zone ‘3’ RC.